A Disney Daffy Duck is a kids fragrance. It include Lemon Peel,Clary Sage,Fresh Mint leaves Crushed Herbs.Wild Lavender,Watery Muguet,Irish Moss,White Cedar,Blonde Woods.Perfect for all occasions. Minnie Mouse Perfume by Disney, Launched by the design house of disney in 2000, minnie mouse is classified as a refreshing, oriental, floral fragrance. This feminine scent possesses a blend of citrus, lemon, florals and sweet spices. It is recommended for daytime wear. Snow White Perfume by Disney, From disney's princess fragrance series, this is a lovely light fragrance for your favorite princess. She will fall asleep dreaming and will awaken to a tender kiss good morning. A perfect present and a perfect first scent for young girls. Disney Sleeping Beauty 100ml EDT is a fresh, sweet fragrance for young girls. Another perfect scented present for your favorite little princess; from Disneys Princess series of fragrances. Barbie Sirena Perfume by Mattel, Barbie sirena by mattel was introduced in 1997 as a fresh fun fragrance for any girl. Refreshing and crisp, even women can wear it. 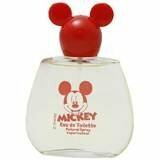 From Disneys Princess series of fragrances for young women, this scent is charming, light and fresh. It is the perfect fit for your little priness, who will be tempted to dance, until its bedtime. Disney Aurora EDT Spray features everyone like a favourite princess and is perfect for children and teenagers. With the fresh playful tones it is ideal for daytime wear without being strong or overpowering. Beauty And The Beast Perfume by Disney, From disney's series of fragrances that evoke fairy tale princesses, this scent is as beautiful as belle. A light, sweet fragrance that will bewitch her. A perfect gift for your little princess.